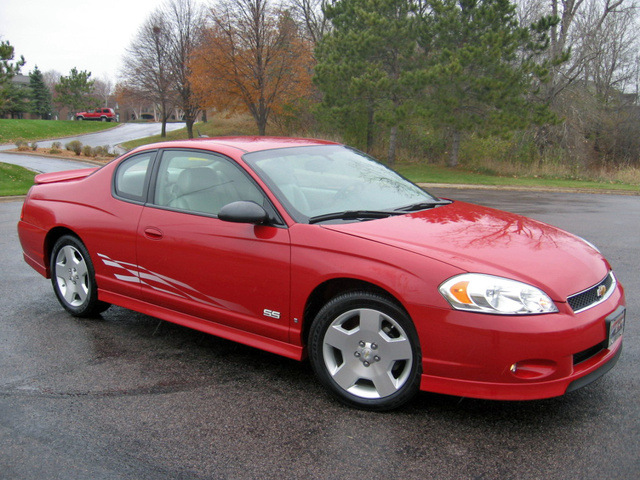 Have you driven a 2007 Chevrolet Monte Carlo? Displaying 1 - 10 of 20 2007 Chevrolet Monte Carlo reviews. Pros: Chick magnet. great looks fast car and they don't make them anymore which will make them an instant collectible and rides on 4 cylinders at highway cruising speeds although it a v8. CarGurus has 695 nationwide Monte Carlo listings starting at $2,500. Incredible Sports Car — This car is an awesome fast stylish car. 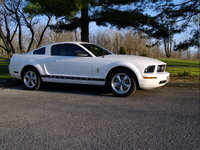 It is a head turner and it has great acceleration and is engineered extremely well. It is fun to drive and the leather makes it luxurious. I highly recommend this car to those who like sports cars with power and style. Fun Car — This car has a great sporty look. Good feel on the road makes it fun to drive. It actually gets good gas mileage even though it has the power of the V8. Too bad GM decided to discontinue making these great cars. Pros: Looks great and awesome acceleration. Why Would You Buy Anything Else? — Has pretty good power, wish it had a little more. If you have big corners like a highway entrance or exit ramp you can confidently take the corners at 50-60MPH, which is quite a lot of fun. Exterior is clean and simple which is what makes this car so appealing in my opinion, Interior is pretty nice comfortable seats lots of head and leg room, even in the back seat. Fuel economy, well its a V8. I average 20.5MPG with a lead foot. Comfortable + fast + consistent handling = ALOT FUN to drive. Cons: cup holders. Sometimes when you drive aggressively the cup holders have trouble holding onto things. AND lack of performance upgrades. Nice Looking Car! I'm Going To Keep This Car As Long As Its Feasible! — Great car, just hit 72,000K and so far no major mechanic issues. The muffler is starting to rattle.. but really makes it sound more beefy! Great acceleration and the option to use Flex Fuel (if they ever bring it back) is cool. I drive a lot of highway so I get on average 24.7MPG. My only complaint, the interior could have been built to last! Pros: The color, the back end! 2007 Monte Carlo Lt — Very nice looking car with good handling and decent power and a fairly good ride to it. Build quality is fine but with rattles/squeaks every now and then and it has needed some repairs over the years but only expected things. Gas mileage is in the low 17's and runs about $40 a week. Finally it is a fairly fun car to drive but its only flaw is that its not rear wheel drive and its many blind spots. Pros: There are not many built in 2007 making it fairly rare to find one. Cons: Front wheel drive, not a V8, horrendous blind spots. Best Car Iv Owned — it drove fast stoped on a dime n turned on a dime. best performing car i owned. it was a little expensive on gas and insurance. very fun to drive with the sun roof n windows opend and the music cranked. Pros: It's a head turner, very quick and responsive and good on fuel. Dream Car. — It's the model of car I've always wanted and it hasn't disappointed. 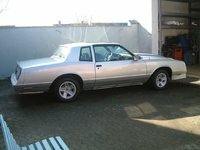 Yes, I'll admitt, I did want an SS, but the vortex engine would get away from me, I do have a lead foot so the 6 cylinder sets with me fine and a little luxury goes a long way. Pros: Sleek, powerful, rides smooth.